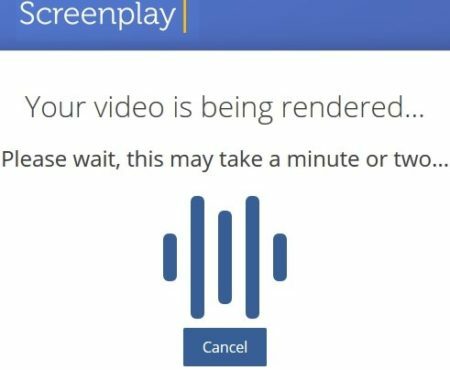 Screenplay is a free online video editor where you can edit video by simply editing its transcript. The website is in alpha testing mode right now and works quite well. You need to upload a video of your choice. The website will transcribe the video and provide you with a text script. 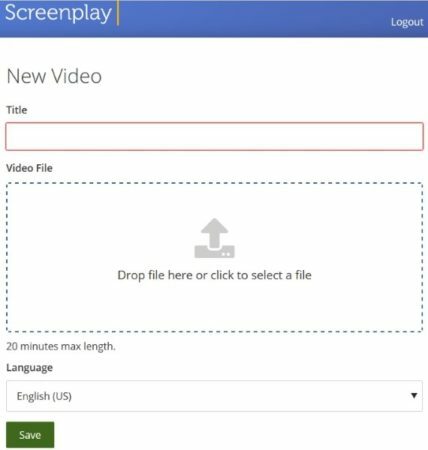 Now you can edit the text script in many ways to make changes in your video. The website interface is quite simple and editing the video using text interface is easy as well. Let’s see how this can be done. When you land on this website you will see a page like the one shown in the screenshot below. 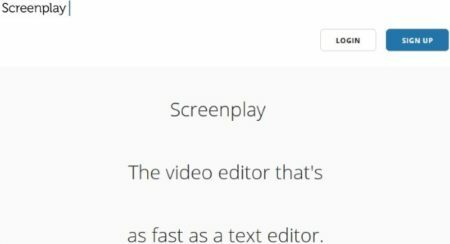 On this page, you can scroll down and see the demo video for reference on how this video editor is working. Once you are ready click on the signup button. You will be asked to enter your email ID and a password. Once you are logged in you will see a sample video on your dashboard. Along that is a plus icon to upload your own video. You can also click the green button on the top right side which says upload video. This will show you the video upload page, which looks like the screenshot seen below. Give a title to your video and click on the center box to browse a video file to upload. You can also drag and drop a video file here. The maximum length of the video file is 20 minutes. So make sure your video complies with this limit. Select your language from the drop down menu. There are about 9 languages available with the website right now. Now click the save button and you video upload process will begin. This can be seen in the screenshot below. Once the video is uploaded you will get this pop up message on your screen. 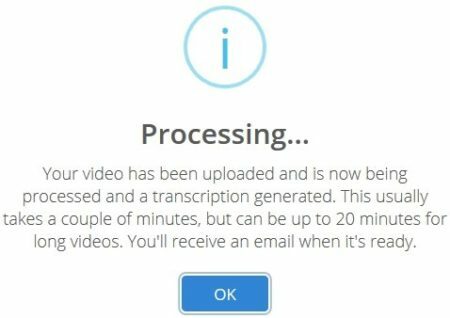 It basically says that your video has been uploaded and is now being transcribed (being converted in to text file). Once that is completed you will get an email notifying you that your video is ready for editing. Once you get the email you will see the video ready for editing on your dashboard. Click on the edit icon. When you click on the edit icon, the text editor interface of the video will open up. This text you see is the one which this website has transcribed from the video. 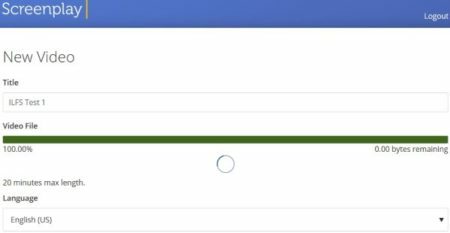 On top of this page you will see undo and redo options in green on the right side. A save changes green button is given on the left. Now when you click on a line of text, a blue editing toolbar will open up right above the text. This can be seen in the screenshot below. The options in this toolbar are pretty simple and can be seen by hovering your mouse over it. When you select a part of the text and click the play button on the toolbar, a small video window will pop up at the bottom of the screen and play the selected part of the video. This can also be seen in the screenshot above. The first option in the toolbar denoted by a star is to highlight some text. Make sure you highlight some text before saving the changes. Once you are done making changes, go ahead and save the file. 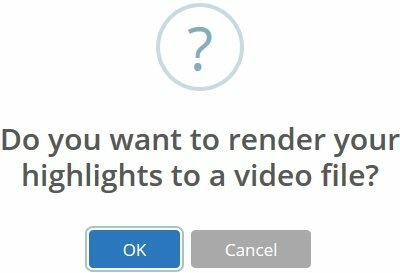 Once you save the file you will be asked if you want to render the highlights you made to a video file, as seen in the screenshot above. Select ok and your video rendering process will start. 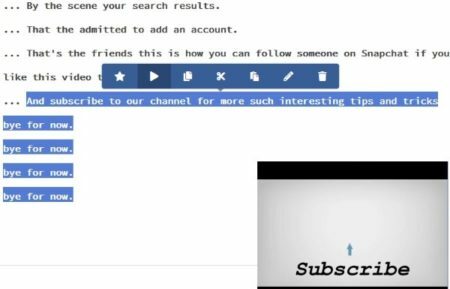 Make sure that you have made some highlights in the text transcription, because only the highlighted part is played when the video is rendered. The video rendering process can be seen in the screenshot below. Once the video rendering is done, you will get a message on your screen with a button to view your rendered video, as shown in the screenshot below. Click on the view button and your new video will open up in a new window. This video will only play the highlighted parts of the text transcript. You can also copy and paste a word or phrase multiple times and then highlight it. The rendered video will now play copy-pasted text multiple times. 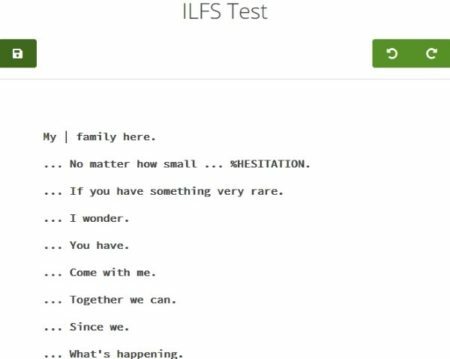 Screenplay is a fun video editing tool where you can edit a video just by editing its text transcription file. The whole process is pretty simple and you can create some fun videos using this website. I definitely enjoyed using this video editing tool and created some really nice videos. Check out Screenplay website here.